To the end the week we have one last giveaway for you guys! 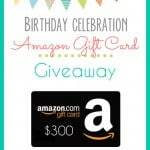 We’ll be giving away a $300 Amazon gift card! We’ve had a blast helping Alli from Cupcake Diaries celebrate turning 30! Thanks for organizing it all Alli! 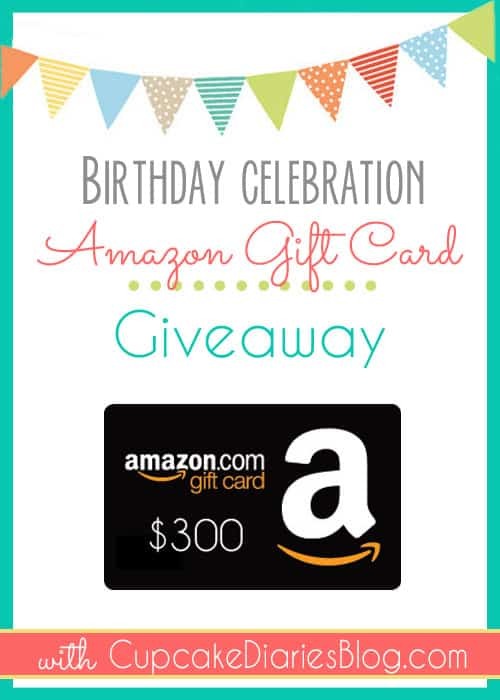 Check out the amazing group of bloggers participating in this giveaway! I’m so excited to be collaborating with such a fun group of ladies. You will love their blogs! To win, simply fill out the Rafflecopter form below. The more entries you complete, the better the chances of winning. Good luck!! Giveaway begins 10/17 and will end 10/24 at 10pm MST. Open to U.S. residents only. Must be 18 years and older to win. Winner will be chosen by Rafflecopter and winning entry verified. If winning entry is not complete, prize will be voided and another winner will be chosen. Winner will be notified via email and have 48 hours to respond and claim their prize before a new winner is chosen.